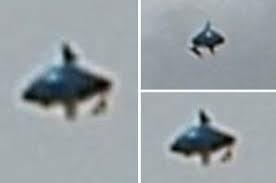 The research into UFO’s should be done in the public view with a crowdfunding campaign. This campaign would be led by a noted skeptic and a believer to make sure $$’s are wisely spent on facts not fiction. Public funding such a campaign would insure that conspiracy theories are left out in the cold and people would be able to donate $$’s to this research if they so were inclined instead of forced to by IRS agents. This campaign would last for a period of time and all research would be completely open to public viewing. In the end we might discover that others are here with us or it is still a mystery but at least we would know where our $$’s were being spent. I agree. But please understand this — those “aliens” are fallen angels (like Nephilim from Genesis) who hate Hashem and in the last of the last days they will tout themselves as creator gods and say that they made us by seeding the earth. People will fall for it and be deceived.